The PGA Tour has left Hawaii for the annual West Coast Swing, which means tour stops here in Florida are on the horizon. But first, this week's event heads to the sunny Palm Springs, Calif. and the Bob Hope Classic. 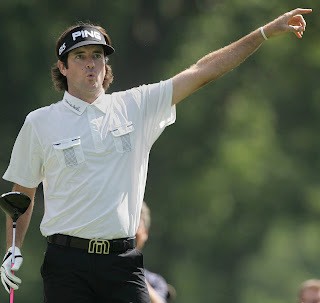 The event is short on star power, but long-hitting Bubba Watson is in the field with a chance to improve on his runner-up finish one year ago. The tournament is a unique stop on the PGA Tour schedule with celebrity amateurs mixing it up with the pros. Aside from the three amateurs, the event is the lone one to dot the calendar using four courses and 90-holes to decide the winner. It makes for some entertaining scores, and the tourney should continue in the future despite some big names not making the trip. The tournament's name is in honor of Bob Hope, who did a lot to promote the game of golf. So, let's give the legendary comedian and his tournament its due and watch some superb action this weekend in between those pesky NFL playoff games.